With his trademark use of light, whether a sunset, a fire, or a warm glow in a cabin window, Terry Redlin invites you to share in the experiences he creates on canvas. Terry’s style, often referred to as “romantic realism,” is not only a visual experience, but one that awakens all senses. The Comforts of Home Cabin is a recreation of the lakeside cabin featured in his Comforts of Home painting. 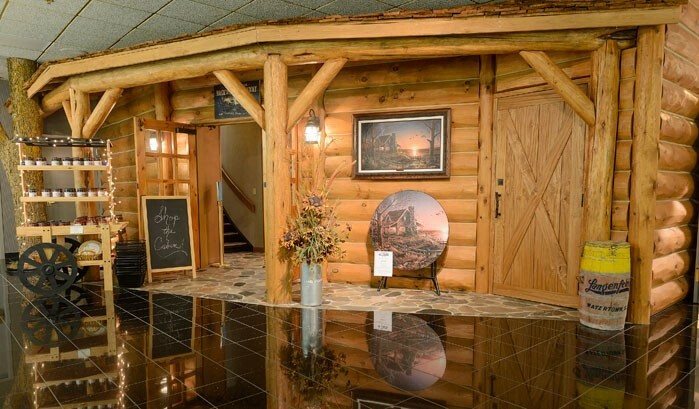 The Cabin has the rustic touch of home in the country. Immerse yourself in the warmth and coziness created by the double-sided stone fireplace. Step onto the stone porch and underneath the rough sawn cedar roof. Touch the massive log posts and see the tree that grew right up next to the Cabin. Once inside, make yourself comfortable as you enjoy the rustic elegance of a home filled with an array of home furnishings and fine art prints by Terry Redlin. 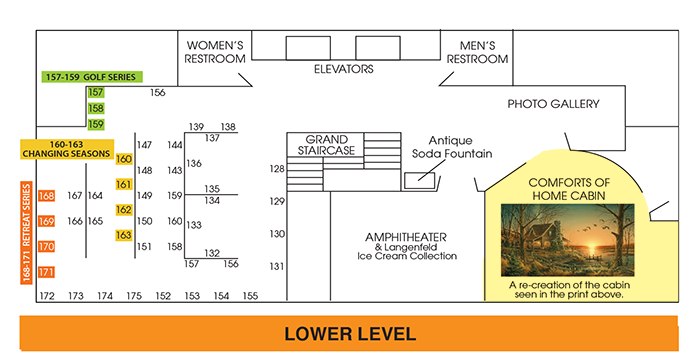 The Cabin is located on the lower level, next to the amphitheater. The door is open, and all are welcome. You can also view the location by downloading our gallery map.